Law Ratchet delivers the news that matters to lawyers. Ratchet Technology, LLC has created Law Ratchet—an app designed by lawyers, for lawyers, that scans thousands of legal news sites, curating and organizing the articles that matter to you. Law Ratchet does the work for you by analyzing thousands of top legal news sources to find the most relevant and interesting articles for your practice areas as well as your interests. Whether your favorite legal sources are law reviews, blogs, regulatory websites, magazines or newspapers, the app has got you covered. Law Ratchet offers a visually engaging and easy to use experience. Discover how rewarding it can be to stay competitive and up-to-date in your field from your iPad, using the Law Ratchet app, or your computer, using the Law Ratchet website. via About | Law Ratchet. The best legal blog. This one concerns the rulings of the US Supreme Court. It’s SCOTUSblog. Why it’s great: Not only is the SCOTUSblog team on top of every ruling to come out of the high court, but Lyle Denniston and co. provide easy-to-understand analysis that makes the justices accessible to more than just journalists and scholars. via The Best Legal Blogs – Business Insider. Our office sponsors a site we call LouisianaLawyer.com. On that site we provide some information on the various areas of Louisiana law in the areas which we concentrate our practice. There are some very good resources available which you may find helpful. 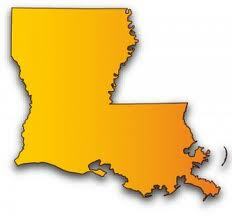 Go to LouisianaLawyer.com to learn more.